From 1948 through 1957, there were virtually no Big Car or Champ Car races held in the Rocky Mountain area other than the annual Pikes Peak Hill Climb, which consistently brought out a large field of Champ cars for the event, many of which had actually run at Indianapolis. This inability for Rocky Mountain region Big Car or Champ Car owners to race their cars more than once a year led a group of drivers and enthusiasts to form a new racing club in 1957, the Big Car Racing Association. 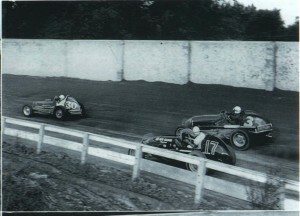 Little did those original incorporators know that within less than a dozen years, their Big Car Racing Association would be sanctioning races throughout much of the Midwest, frequently attracting 50 to 60 entrants to their races which were held at tracks and State Fairs which would have previously only sanctioned races with top clubs such as IMCA or AAA. The Big Car Racing Association was incorporated in 1957 at Colorado Springs and actually began its first racing season in May 1958, appearing at Canyon City, Colorado’s Cherry Blossom Festival. 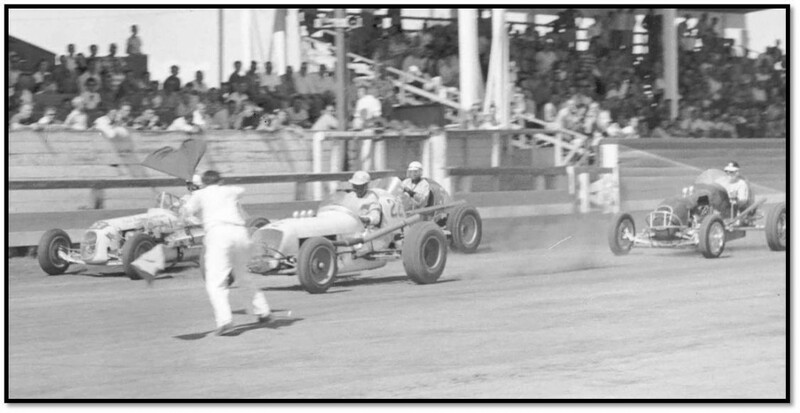 BCRA’s first feature was won by Wyoming’s Jack Hahn in his own Chevy powered Champ Car. In late July, the club’s second race was run outside Denver at the Arapahoe Country Fairgrounds, the main event being won by Rocky Mountain Midget Racing Association driver Earl Kouba. The Association would begin to draw competitors from across the country as California’s Jack Rounds and the amazing Cotton Farmer would run BCRA. In August of that year, the club ran its first two-day show at the Colorado State Fair in Pueblo, drawing over 50 Big cars, Champ cars, and Sprint cars from more than a dozen states. The two features were won by California’s Al Sherman, who drove the famous Frank Kurtis built former Charles Allen ‘Jewel Box,’ a 1939 rail-frame Midget which had been stretched into a fast Chevy powered Sprint car, and Phoenix’ Wayne Weiler, who drove the Fike Plumbing Chevy. Car Owner Burt Blanot and driver Roy Walker of Colorado Springs, Colorado won the inaugural BCRA Championship. 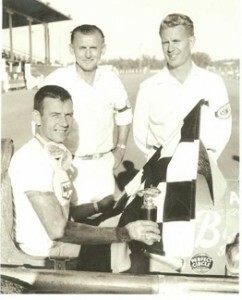 Driver Roy Walker, Flagman Karl Mismach and BCRA President Art Meyers, Colorado State Fair, 1958. Photo courtesy of Leroy Byers. Click to next page …. If you have any photos, we’d love to share them on the site. Thank you for commenting on our site about your grand father, Al Sherman. We have only limited data about Al as he raced BCRA evidently only one time, in 1958! We would love to have more history of his career to share with the rest of the racing world here on our site. Al Sherman is my dad. This sure brought back some memories. Racing was his life. Thanks you. We are happy that you relived some good memories here on our site, Shirley. We know that Al ran at least one time under BCRA sanction and if you have any more information about his career we would certainly be interested in hearing about! Thanks for posting this! It’s great to see my grandpa on the web! You are very welcome, Stacy. If you have any stories regarding you grandpa and his life in BCRA and Racing, we’d love to hear them. If you want to contact me directly, use 888-820-2357 and we can discuss how you can share about your grandpa with the world!